Typically, a divorce has a strong emotional impact on the entire family. We approach each case with a compassionate understanding and take care of legal procedures so clients can continue with their lives. If you need legal assistance with your divorce and need to contact an attorney, call 405-235-4500 or contact us online today. 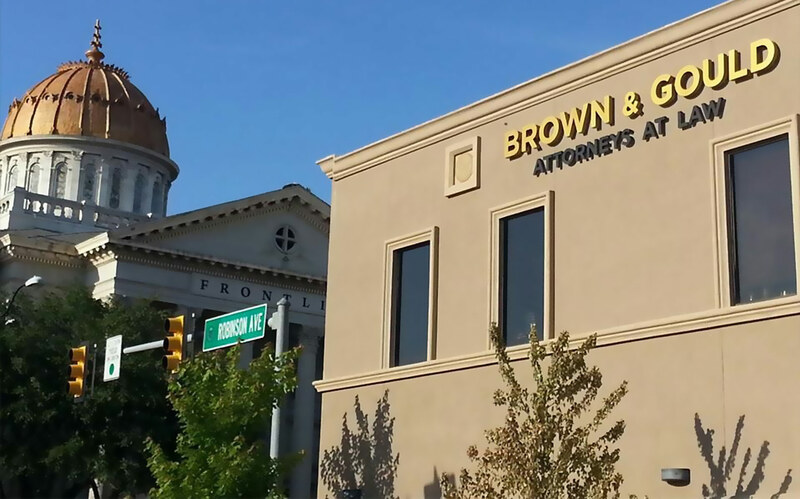 The Oklahoma City, Oklahoma, law firm of Brown & Gould, PLLC, provides high-quality representation for every issue involved in divorce. Our skilled attorneys help clients throughout Oklahoma and Texas. Clients benefit from the vast legal knowledge of family law that we apply to every case. Our attorneys have helped many clients with divorce cases and understand how to address questions about the process and outcomes. Frequently, clients are worried about finances and what arrangements will be made while the divorce is underway, as well as for the long term. For divorces that involve businesses or high net worth individuals, valuations may be required. No matter what circumstances are involved, our seasoned lawyers will protect the best interests of a client and minimize any potential negative impact. If you would like to discuss a divorce issue with a qualified lawyer, call 405-235-4500 or send an e-mail. For the convenience of our clients, we are happy to schedule off-site, evening or weekend appointments.